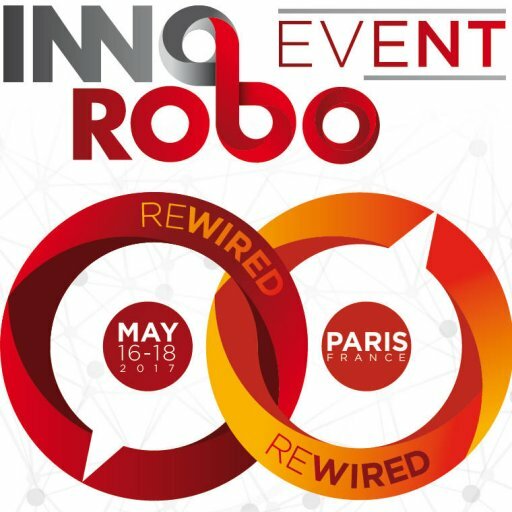 "Catherine Simon, CEO and founder of the company that organizes the Innorobo event , has announced the cancellation of the 2018 edition, originally scheduled for 15 to 17 May 2018 at Porte de Versailles in Paris. We will be focusing our resources on new ways of delivering on our promise to provide information, connect people and help innovative technologies go to market." 2017 INNOROBO makes a new start in Paris. This is the first time that a fair on Robotics and ground-breaking innovation will be held in Porte de Versailles - Paris Expo. Rendezvous for this 3 days exhibition dedicated to the presentation of the Art of world robotics in several exhibition halls, conferences with renowned specialists, workshops and demonstrations areas. Inside 3D Printing is the leading professional event around 3D printing and addictive manufacturing. It will be held at the same time as Innorobo at the Docks de Paris. Come and meet the professionals, the innovations, participate in conferences in the field of 3 D printing which is becoming ever more important. Consult our list of hotels located Northeastern or in the heart of Paris. Accessible by transportation: book a hotel room near the subway line 12, book a room in Paris near Gare du Nord station or rent a room near Chatelêt-les-Halles neighborhood. Check for hotels near the Roissy Charles-de-Gaulle aiport. It is possible to pick up your cat at a car rental at Paris Nord station. Central Paris : Périphérique sortie "Porte de Versailles"